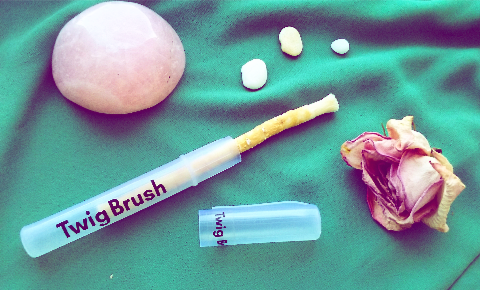 Review: TwigBrush - Does It Really Clean Your Teeth? 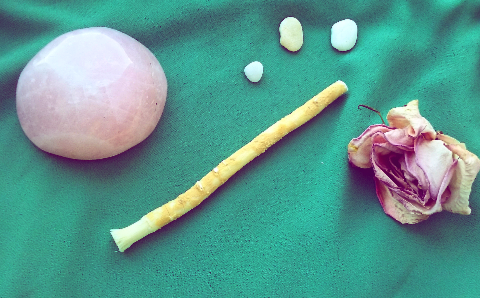 Ever tried brushing your teeth with a twig? I haven't, until this week. Now, this is no ordinary twig (so don't go breaking branches off that tree outside your house), but a TwigBrush, or Miswak. 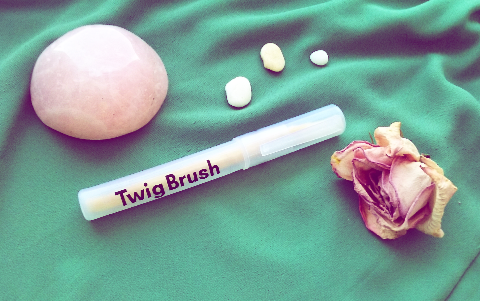 A TwigBrush is a natural alternative to a toothbrush (and requires no toothpaste either). It's made from the Salvadora Persica tree, also known as the Peelu tree or Toothbrush Tree. You must be thinking: Okay, but how could a twig possibly clean your teeth, especially without any toothpaste? Good question. Here's the answer: TwigBrush has unique, completely natural, chemical compositions that are perfectly designed for cleaning teeth. In fact, there are over 70 benefits of this twig shown throughout ancient literature (pretty impressive, no?). And they're not all hogwash either: Most claimed benefits have been proven by labs effective as stated. Some benefits include natural antiseptics (that eliminate bad breath), silica (which removes stains + whitens teeth), sodium bicarbonate (whitens teeth), resin (protects teeth), and essential oils (freshens breath). Also, TwigBrush is completely eco-friendly, being it's a twig and all (which makes it biodegradable, mind you). Can't say that for conventional toothbrushes and toothpaste holders. But those benefits aside, does TwigBrush really work? Can a twig really freshen breath, protect from microbial action, and clean teeth? Well, Ammar Alyemany from TwigBrush was kind enough to send me a few samples to test out for myself. And the answer might surprise you. Why you want it: This will probably be the most unique toothbrush you'll ever use - not to mention a very effective one. Usage duration: I started using this product Monday, January 9, 2017. I'm currently still using it, so I've been brushing my teeth with it for about a full week. I plan to keep using it until it's down to the very end of the bark. Salvadora Persica tree (Yes, that's really it). The pros: The pros completely outweigh the cons. 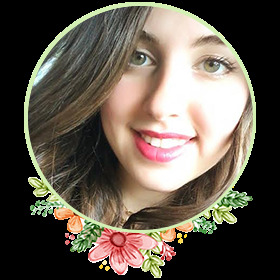 I really loved communicating with Ammar Alyemany who gave me the product in the first place. What a friendly person! There's always free shipping if you order 2 or more Twigbrushes - super convenient. I really love how durable the TwigBrush is: One will definitely last you a while. I was impressed by how well the TwigBrush performed: I was skeptical at first, but not anymore! I haven't finished using the product yet - something tells me one TwigBrush will last well into the end of the month, if not longer. I adore how it's only made from one ingredient - the Salvadora Persica tree - which makes it all-natural and biodegradable! The instructions are easy to follow and are included right on the packaging and website (though the website says you have to saturation your twig brush for 8 hours before use - I double checked with Ammar Alyemany about this because it didn't say that on the package - and found out soaking it for 8 hours is not necessary). I was really impressed how this didn't need water or toothpaste to clean my teeth - I mean come on, who would've guessed, right? 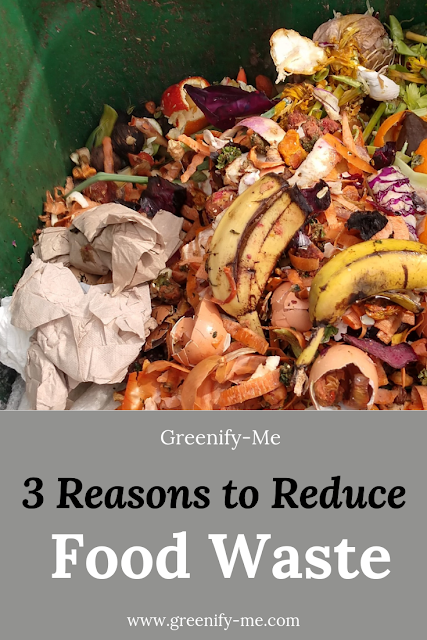 Using this seriously minimizes the amount of waste I put into the environment (the packaging is completely recyclable too). The cons: The cons are ridiculously low. The smell of the product caught me off guard (it smelled very earthy, but not bad, just pungent). I hope they update the website to say it doesn't need to be soaked 8 hours before use, because it doesn't match the instructions on the package. This part confused me a little! Conclusion: I totally recommend this product. If for nothing else, its effectiveness and uniqueness will definitely amaze you. 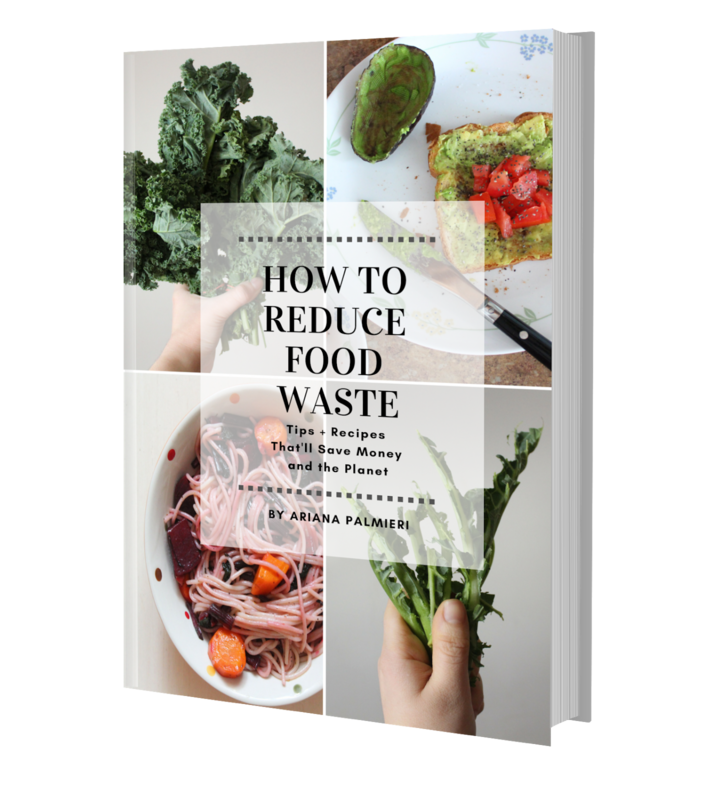 Plus, you'll be putting one less piece of plastic into the environment. Not to mention this will save you money on buying a new toothbrush and toothpaste tub (after all, each can cost up to $10, or more, depending on the brand). 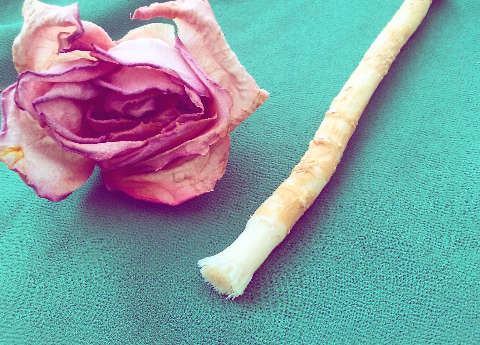 This Miswak is bound to last you a while and is half the cost. So what's there to lose? Give it a try for yourself (you might be surprised at how much you like it). This post was sponsored by TwigBrush. All thoughts remain honest and not influenced by a third party.